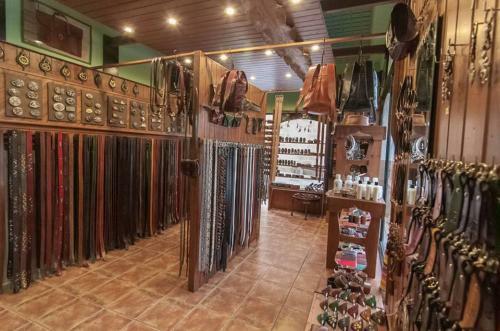 DECUERO LEATHER has been making and selling hand-made leather products in Jávea for almost 25 years. 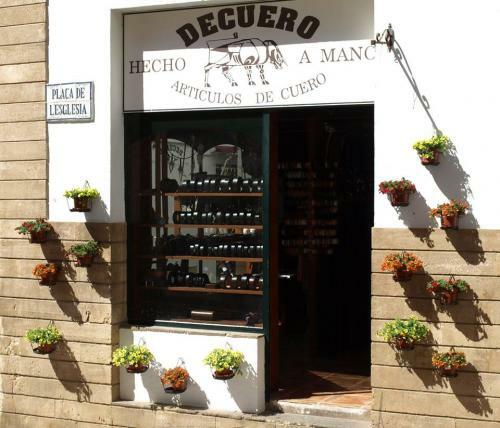 Located in the heart of the historic centre right opposite the main door of the ancient church of San Bartolomé, the shop of the corner has become a popular landmark in the old town. Passing through the door, the visitor enters a real world of leather with something for just about everyone from belts to bags, tablet and e-book cases, tobacco pouches and spectacle cases, and much more all made from full grain, vegetable tanned leather in the workshop at the rear of the shop where you can see John and Linda hard at work on their next project. 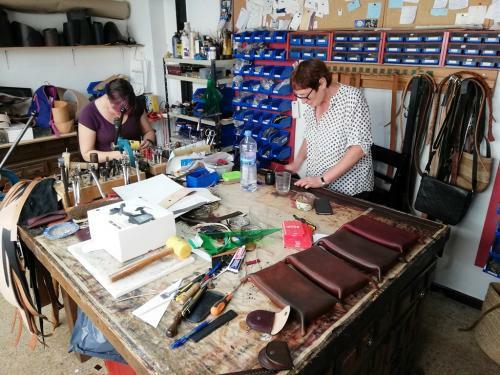 As well as a wide range of great leather products in the shop, Decuero Leather can make your very own bespoke item, a special gift or a new bag created especially for you. 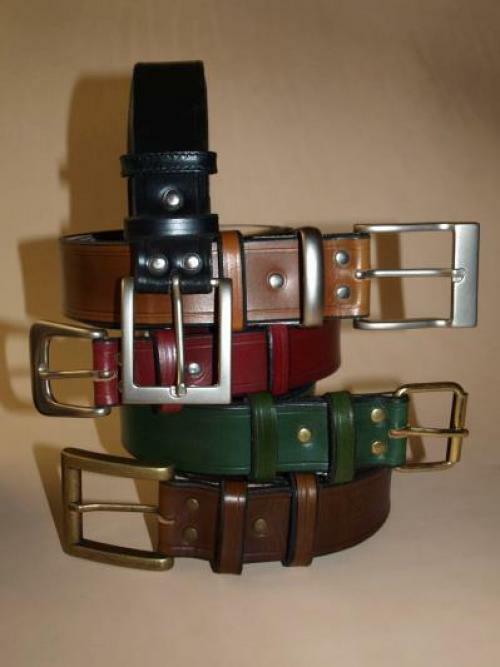 They also have an online shop and have supplied handmade leather products around the world to places such as Australia, France, South Africa and the United Kingdom. Decuero Leather want you to be 100% happy with your purchase and will always deal with any problem quickly without fuss or argument to find a resolution. After all, they want you to buy more products from them and they want you to tell your friends to come and buy products from them. In a time when high priced, designer label goods fall apart in a matter of months, you will really appreciate a good handmade leather item that looks better with time, not worse. Whether you've bought a belt, a briefcase or a keyring, you will get years of use from it, and that really is guaranteed. Cliquez ici pour la page française. Haz clic aquí por la página española. More than satisfied with my custom-made man-bag, an absolute work of art by John who even had the foresight to add a little pocket inside for paperwork. The attention to detail during the design phase, the creation phase and after having delivered the product is simply first class. Bravo! I have bought a couple of items, the quality of materials and workmanship are excellent. Quick delivery and excellent communications. Highly recommended. I have asked for a special order dedicated to me. It was a roller bag for my Harley Davidson. The job has been very well done and the quality is so good. All of that for a good price.